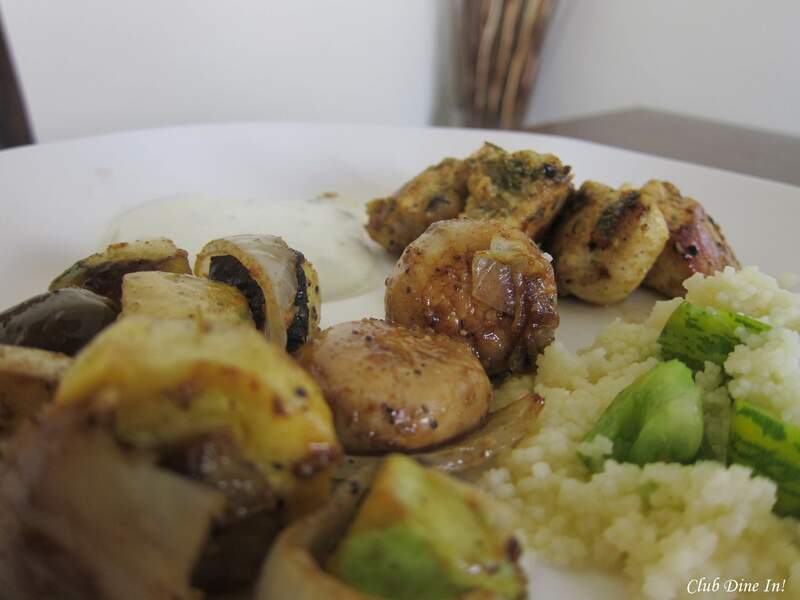 Easy Chicken + Veggie Kebabs | Club Dine In! Cooking meat isn’t my favorite, but after writing the post about Healthier Social Eating, I was inclined to make chicken kebabs. The problem is that I live in an apartment in San Francisco, and I do not have a backyard¸ much less a balcony. So grilling is not an option. (I tried the George Foreman indoor grill, but I did not like the results). Anyway, I decided to put the vegetables and chicken on wooden skewers, wrap them in foil, and roast them in the oven. After, marinating the vegetables and heating up the oven, I discovered we didn’t have the skewers. That is the worst thing that can happen to a cook on limited time. I thought about ditching the whole project and settling for leftovers. Then it dawned on me that I could use my pizza stone (a fancy wedding gift). The results were d-e­-l-i-c-i-o-u-s. What impressed me was how little time I spent on the whole process and everything tasted as if it came out of a wood-fire grill. This is definitely going to be something I whip up when I have hungry friends over. 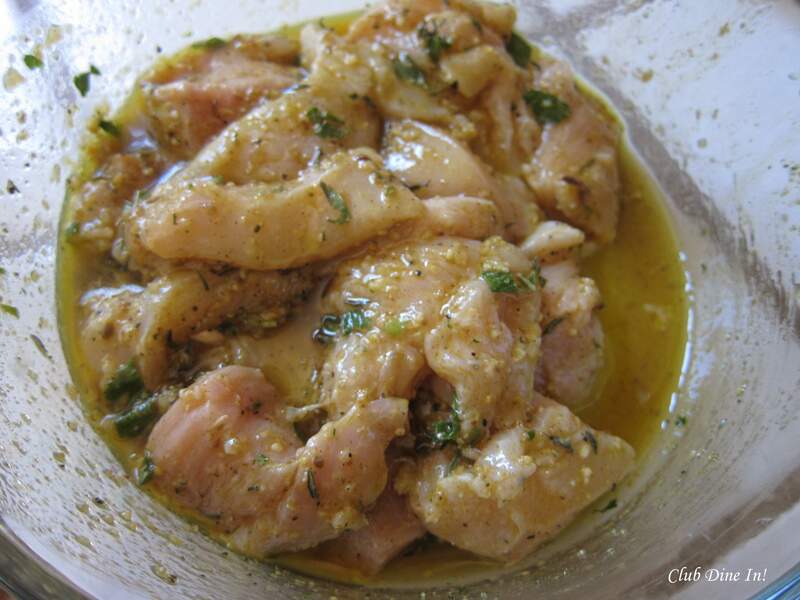 Whisk together olive oil¸ mint¸ lemon juice, thyme, garlic, cumin, cinnamon, salt, and pepper until well blended to make a marinade. Put vegetables into a glass bowl. Put chicken into another glass bowl. 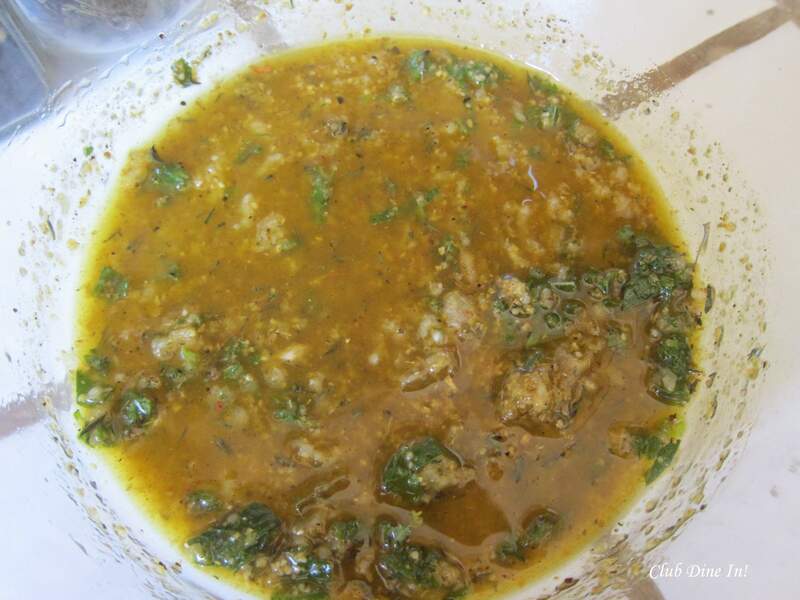 Divide marinade equally among the bowls and mix each well to coat all of the ingredients. Cover each bowl and refrigerate for 3 hours or overnight. Stir occasionally. Skewer vegetables and chicken separately on skewers. For example, thread only bell peppers on one skewer, only squash on another and only chicken on the next. Since protein and vegetables cook at varying times, this will allow you to cook individual skewers until the items are sufficiently done (and eliminate burning one ingredient while trying to cook another). If you don’t have skewers, you can roast them in the oven. Preheat grill to 375°F (a medium-hot fire). Grill chicken until just cooked through and slightly charred, turning often, about 8 minutes. 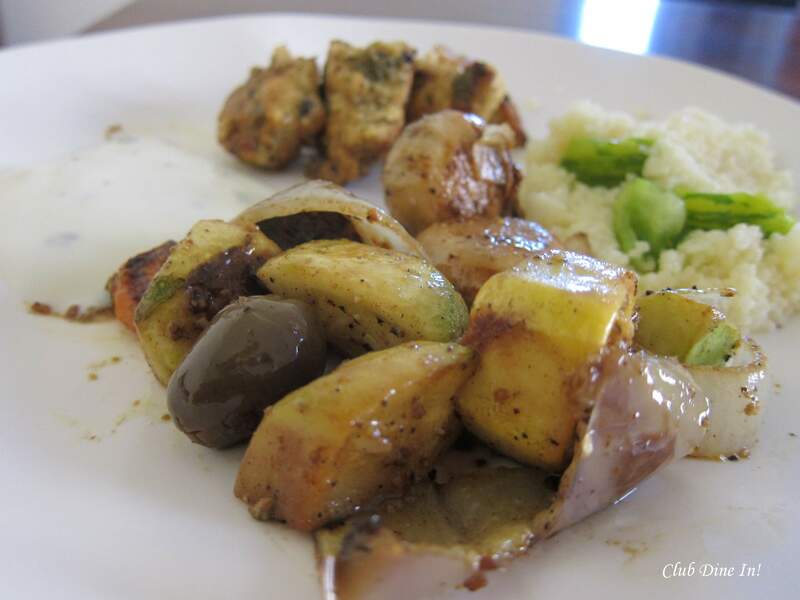 Grill vegetables until just tender. OR Alternately, preheat the oven to 425°F. Spread out the vegetables on a nonstick baking sheet. Pour remaining marinade over the vegetables. At the same time, you can spread out the chicken on another baking tray and pour its marinade over the chicken. Cook vegetables until tender and the chicken for about 10 minutes. OR If using a pizza stone¸ cook vegetables until tender and starts looking charred, about 6 minutes, turning once. Transfer to a plate. Add chicken to the pizza stone and cook for about 10 minutes, turning once. Serve with a side of Greek yogurt, salad, and/or couscous for a complete meal. I marinated the chicken for 3 hours but I recommend a longer time. Veggies only took 5 minutes in the oven on the pizza stone! I devoted 45 minutes to preparing, cooking, AND cleaning up. Worth it!